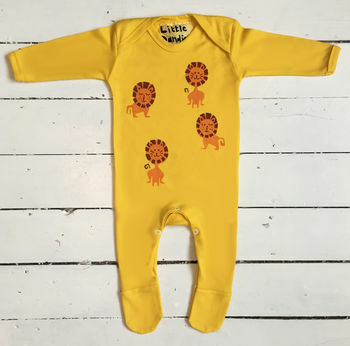 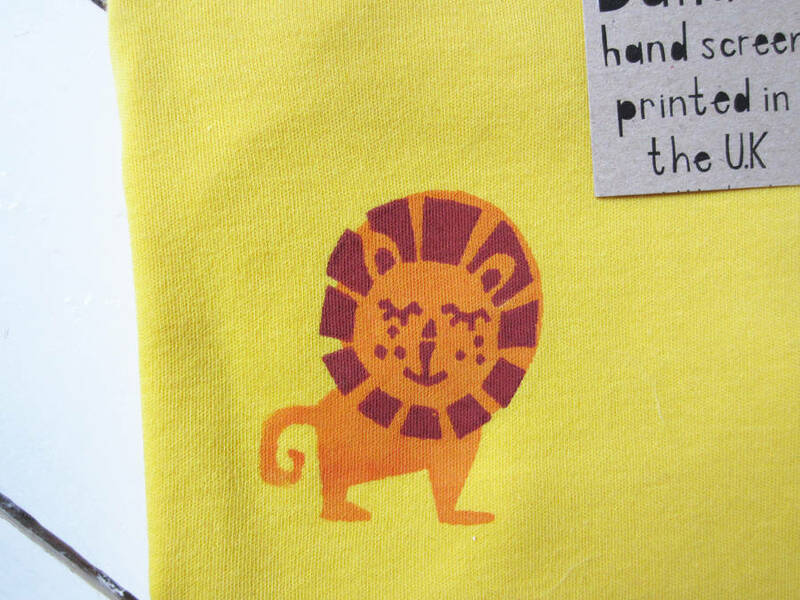 Handprinted Lion Babygrow. 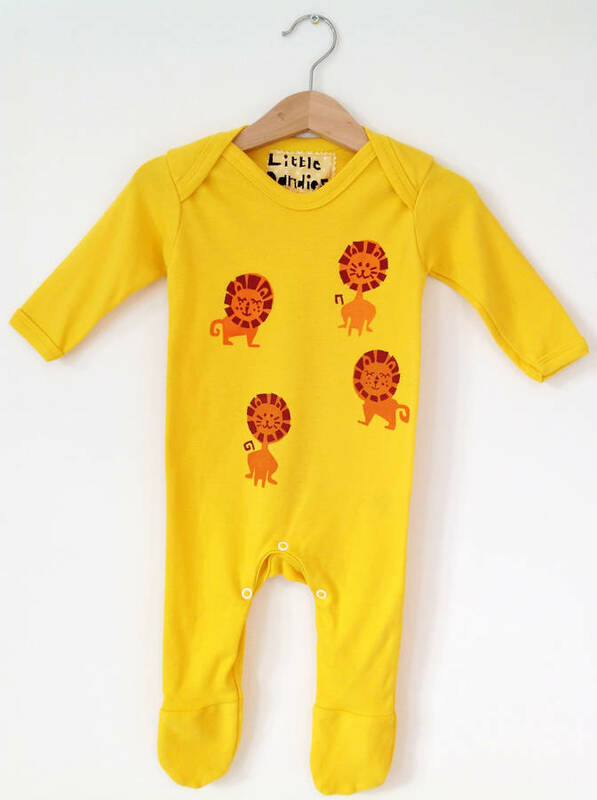 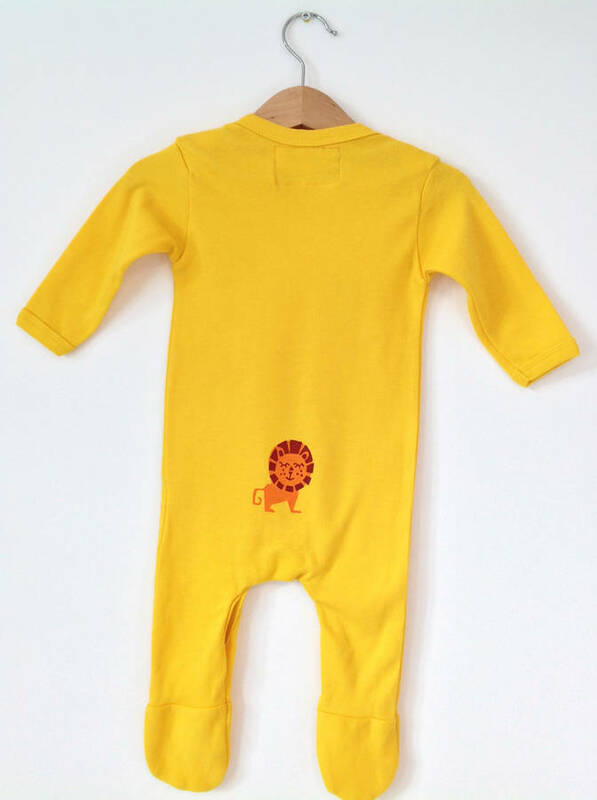 A brightly coloured animal unisex babygrow in sunflower yellow. 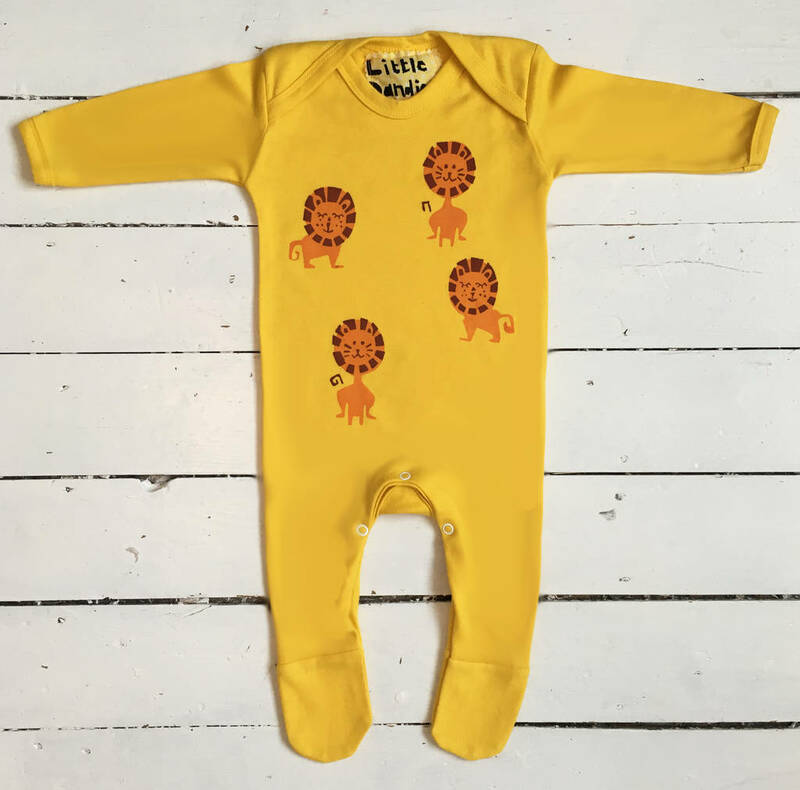 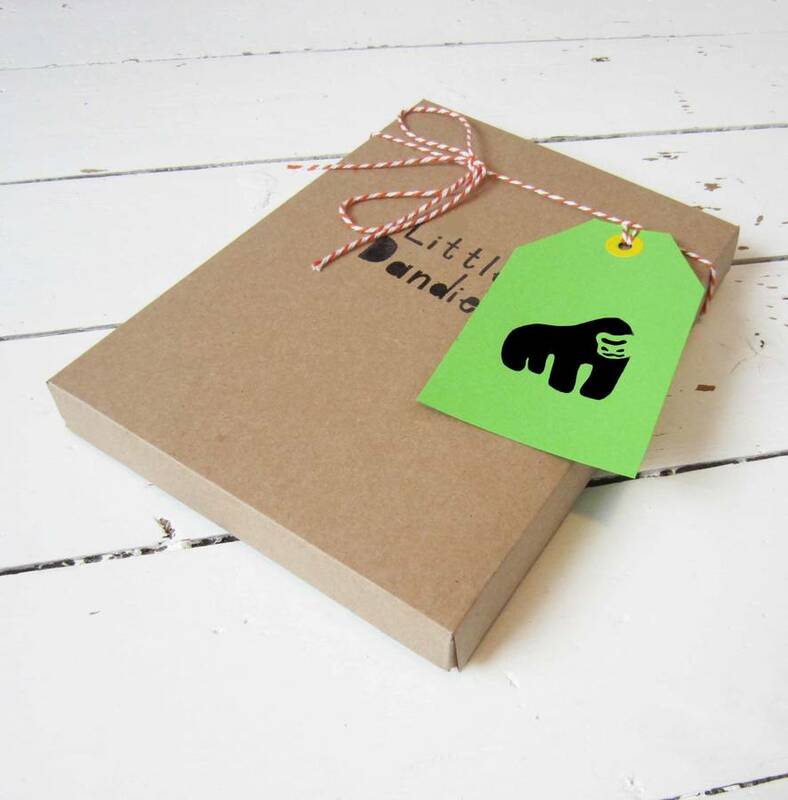 This animal babygrow features a handprinted chocolate and orange lion, with a small cheeky lion printed on the back at the bottom. 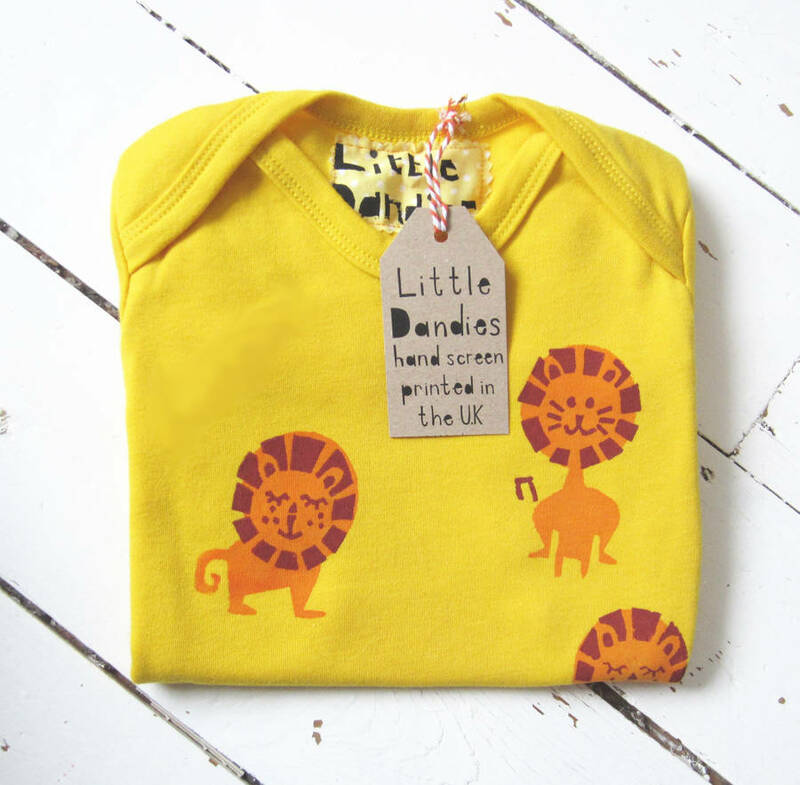 'Little Dandies' babygrows are a really fun and unique baby/ newborn present.